Chelsea are set to smash another transfer record with the biggest fee for a 14-year-old in history. The Daily Mail reports that the Blues have agreed a fee of £2m for MK Dons youth-team starlet Oluwaseyi Ojo. 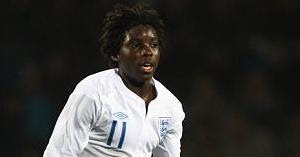 The midfielder is also an England Under-16 international. The paper claims that Chelsea moved for him during a cameo the youngster made for the national side against Northern Ireland in midweek, helping England to a 3-1 victory. With the midfielder being watched by a number of scouts, Chelsea felt compelled to lodge three bids before the end of the match. MK Dons are believed to have agreed to the third of those offers, worth an initial £1.5m and potentially an extra £500,000 in add-ons. 2009 - 2017 a monkster initiative. Simple theme. Powered by Blogger.